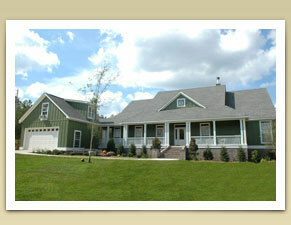 When you need a custom-built home that suits your family's needs, Bass Homes, Inc. is second to none. 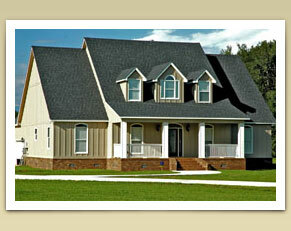 We create unique and personalized custom homes Alabama homebuyers love. Our Stapleton based company is the only Southern company that can custom design each home to meet the buyer's exact needs. Our focus on each customer's individual preferences is what sets us apart from any other home builder. In South Alabama, we already have plenty of beautiful land and scenery on which to build your dream home. Just give us a call to get your project started! Over the past 30 years, Bass Homes, Inc.Õs home builders in Alabama have consistently delivered high-quality workmanship to customers from Baldwin and Mobile County. While serving the rest of Alabama and even Southern Mississippi, we pride ourselves on creating durable and reliable custom-built homes. Alabama residents appreciate our creations not only for their beauty, but also for their excellent craftsmanship. Whether you know exactly what you want, or need us to help you plan out an idea, weÕre here for you every step of the way. There's nothing quite like living in a house that's perfectly tailored to your tastes and needs. Once you live in one of our properties, you won't find any other structure as comfortable. When you're ready to start realizing your dreams, you can count on Bass Homes, Inc., the top custom home builders in Stapleton. Browse our website for photos of our previous work, and please don't hesitate to contact us if you have any questions for our home builders. 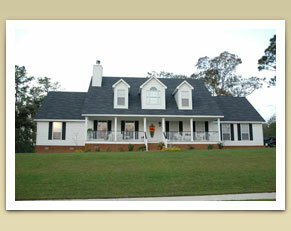 Baldwin County, AL customers can attest to our high level of service and passion for all home projects. A representative would be happy to address your concerns and get your project started, so call today! This unbelievable 2,285 square feet Bass Homes model, the Dalton leaves the ordinary home in its shadow. The giant 2,901 square feet Hallmark Gold is an awesome modern home. Over 3,600 square feet under the roof and 2,600 heated & cooled, the Redwood Gold was designed for the big family or the average family that likes to entertain and accommodate.